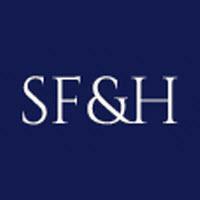 Located in Toms River, Silvi, Fedele & Honschke Attorneys at Law, L.L.C., has been providing dedicated legal services to clients throughout New Jersey for more than 25 years. If you or a loved one was injured or killed in an accident, you need experienced attorneys who are dedicated to maximizing your compensation. Our attorneys fight for our clients' rights. We bring strong personal injury and workers' compensation claims that get clients the resources they need to treat their injuries, pay their bills and move forward with their lives. Since 1986, we have obtained over $65 million on behalf of our personal injury and workers' comp clients. At Silvi, Fedele & Honschke, cases aren't handed off to junior attorneys or paralegals. Instead, one of our three partners personally oversees every case. We are committed to providing exceptional legal services with the personal attention and service our clients expect.